The Arnold brothers, Denton & Tolver, along with Society colleague Craig Smith have been appointed to International games this week. Tolver Arnold will Touch Judge Yorkshire Academy v Australia School Boys tonight in Castleford. This will be Tolver’s International debut. Craig Smith and Denton Arnold are in action on Saturday when Lancashire Academy take on the touring Australian Team at Manchester Regional Arena, Etihad Campus. 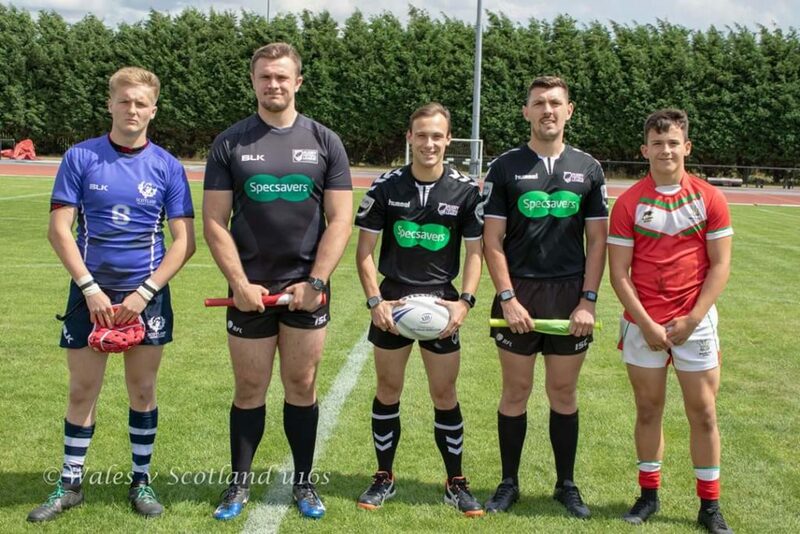 Both Craig and Denton have had a taste of International experience already this year; Craig officiated at the RLEF U19s European Championship as well as being involved in France v Scotland earlier in the month and Denton Refereed Wales v Scotland in an Under 16s International earlier in the season. 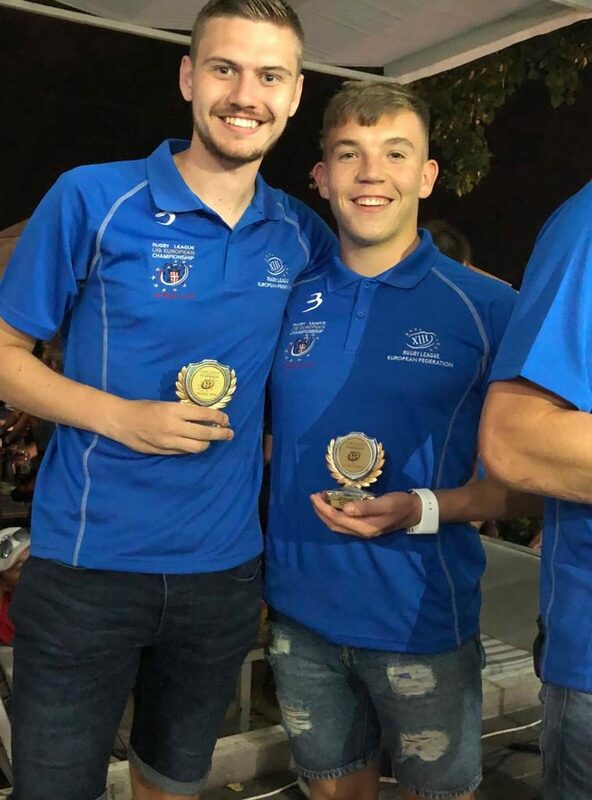 Craig Smith poses with English colleague Cameron Worsley at the 2019 RLEF U19s European Games in Belgrade. Denton Arnold poses with Society member Stuart Lloyd when they officiated Wales v Scotland U16s in July. 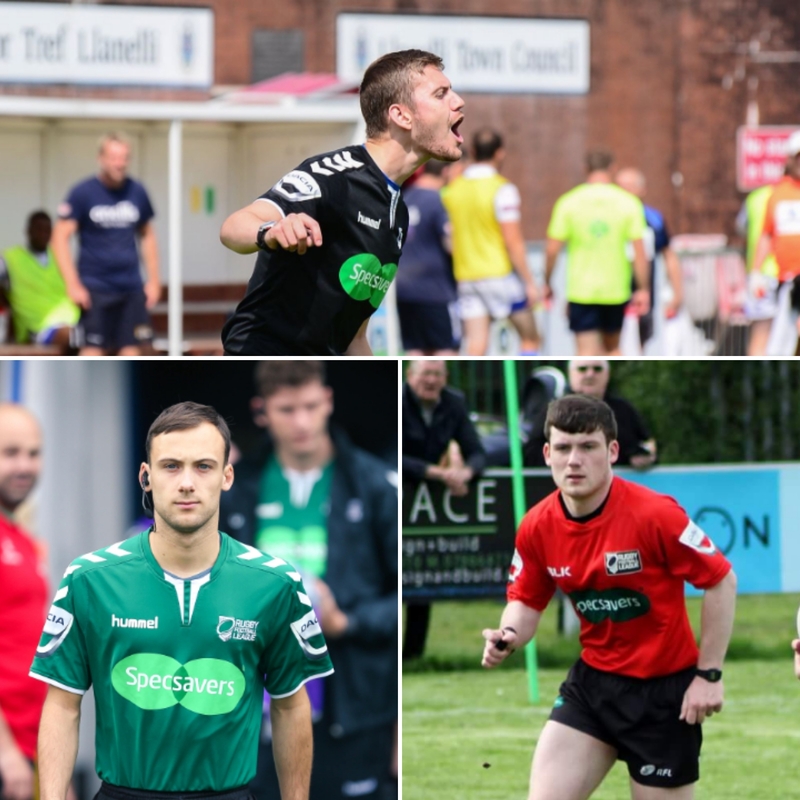 Ref: Cameron Worsley, TJs: Liam Rush & Tolver Arnold, Res: Harry Nevile, MC: Steve Williams. Ref: Craig Smith, TJs: Denton Arnold & Curtley Etchells, Res: Tara Jones, MC: Frank Hawley. 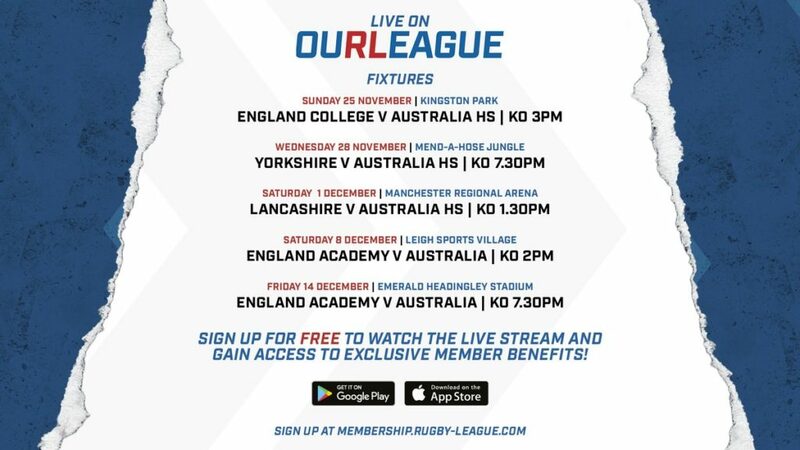 Both of these games will be streamed live on the RFL’s OurLeague app – CLICK HERE TO VIEW.